Commentary of NEC analyst Leonid Litra on the results of parliamentarian elections in Moldova. 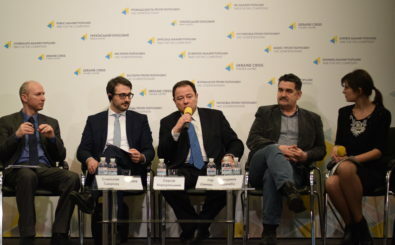 Article by Markian Kuzmowycz, visiting fellow at the NEC, about prospects of the pro-Russian politicians in Ukrainian 2019 election. An article by Sergiy Solodkyy, First Deputy Director of the NEC, on assessment of Ukraine’s relations with Russia (July-September 2018) for the quarterly magazine ТRUMAN Index.